I haven’t had time to “prepare” for this series and I thought because of that I wouldn’t be as charged up when I finally sat down to focus on it. So here I am reading about the pitching match-ups and suddenly I’m looking at the clock waiting for tonight’s game to begin. Which doesn’t mean I’m buying into the “The Red Sox have this in the bag” sentiment either. If I’ve learned nothing as a Red Sox fan, I’ve learned that what you think will happen almost never does. 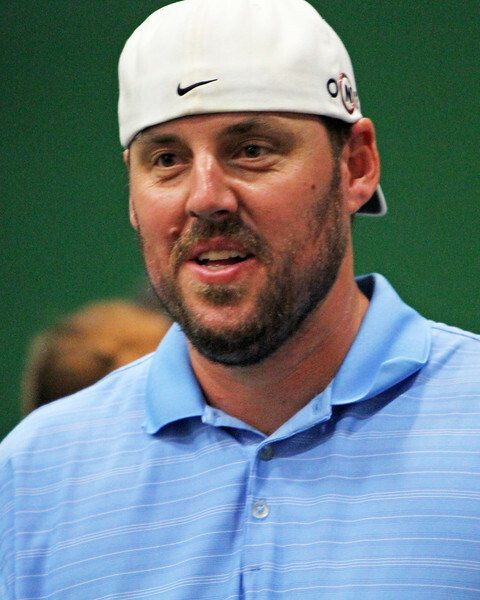 I’m not convinced that John Lackey doesn’t have a chance of beating CC Sabathia tonight. And I’m not convinced that Jon Lester will automatically beat AJ Burnett in the last game of the series. But I’m lying if I don’t say that I’m not worried about the way the Red Sox will play this week. Right now the Sox are sitting a game and a half up in first place. 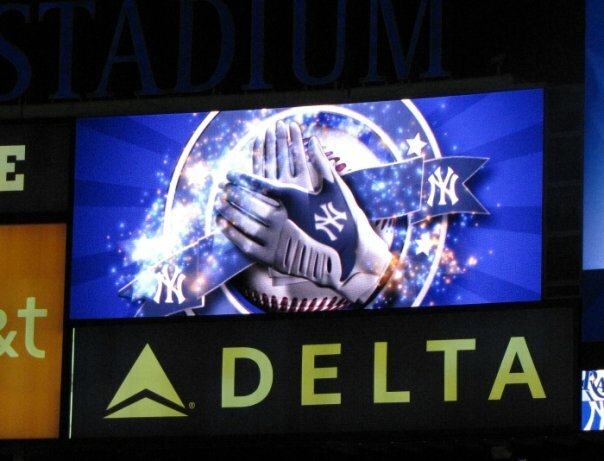 Even if the Yankees (perish the thought) sweep this series, it won’t do too much damage. I don’t want any part of a Yankees sweep (and if the Red Sox sweep you might see me dancing in the streets) but it’s nice to be in a position where the Red Sox are poised to do more damage than the Yankees. I like where we’re sitting right now. 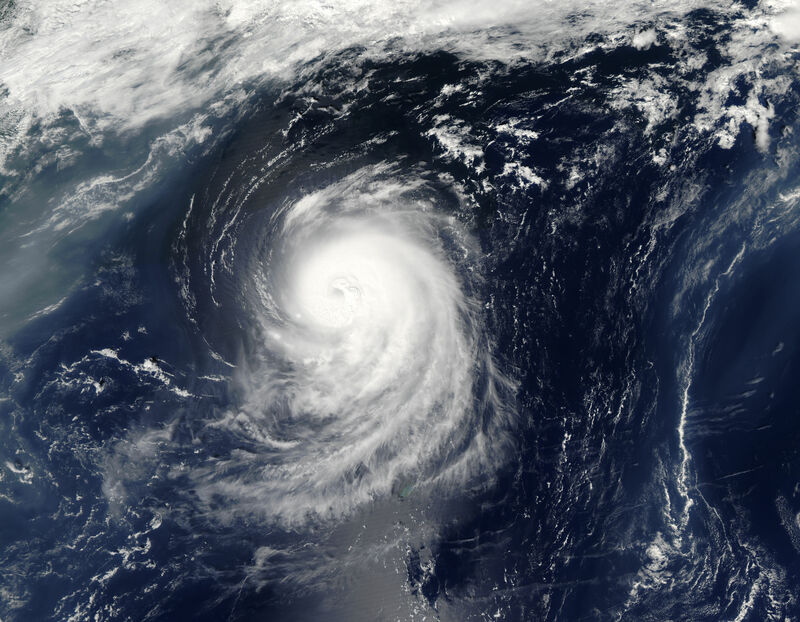 I spent most of yesterday morning preparing for a hurricane or tropical storm. Getting the basement ready in case we take on water, tying down things in the yard that we couldn’t bring inside and bringing things inside that we could, digging out the candles and flashlights…I got a lot accomplished. Having a noon baseball game to watch as a reward was exactly what I needed. Little did I know that my afternoon treat would turn into just about 11 hours of on again off again baseball that would end in two wins for the Red Sox. The day felt long and grey and wet and I watched both games from the comfort of my home, so I can’t even begin to imagine how the players and especially the fans who hung around felt after that marathon day. It worked out perfectly (for the team anyway) though, they won both games and now they get today and tomorrow off to recover before the Yankees show up on Tuesday. Alls well that ends well. Far be it from me to defend the New York Yankees but even I have to admit that having them make up one of the games from this weekend on their off-day before a west coast trip seems a little unfair. (They’ll be home for three games versus Baltimore and then they have to travel to Baltimore for the makeup game and they have to be in California the next day for their series against the Angels.) On the other hand, the Orioles have the same two off-days in September that the Yankees do and while I suppose they could have chosen the later day when they would be staying at home after the game and the Yankees would be going to Toronto…but, really, I don’t see how it’s their responsibility to give their opponents a break. (Although, the Yankees are in Seattle the day before that second off-day…so either way it isn’t really convenient for them.) I also don’t fully understand why the Yankees didn’t have a say. But, ultimately, the Yankees are in contention so these games have to be played. I think the Yankees didn’t do themselves any PR favors by whining about this publicly instead of just going privately to MLB and the Orioles. The O’s are still reeling from the news of Mike Flanagan’s death. A little courtesy isn’t such a terrible thing. The Red Sox are up by two games right now but the Yankees have four games in hand (two after today’s double header in Baltimore). It’s going to be one heck of an entertaining September. If you’re in the path of the hurricane this weekend, I hope you are safe. I’m most concerned about losing power and a little flooding but so far so good here. Stay safe, people, we want you around for the rest of the season! Have some things going on this week that make it tough to post right now but I’ll be back this weekend! 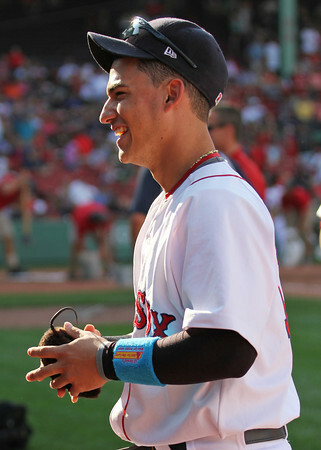 For now I give you this photo of Jose Iglesias (at Fenway for Futures at Fenway last weekend) holding a stuffed rat, courtesy of Kelly O’Connor who has many other fabulous photos from the day (and from other games) at her site here. I would so love to be at Fenway Park today. 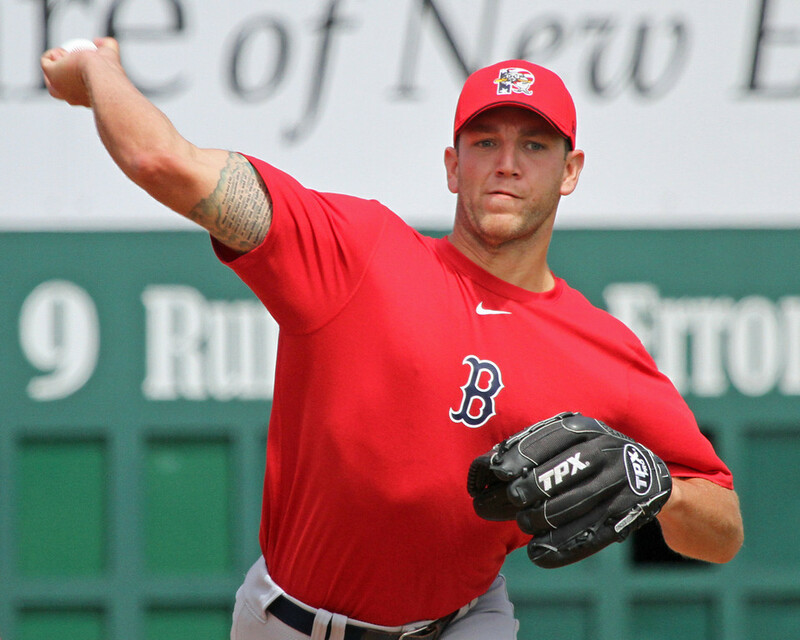 Watching minor league players get to play on the Fenway field is definitely a thrill. Even more exciting is seeing those young players wandering the field, slamming up against the Green Monster and going into the scoreboard like they were just your average fans with an opportunity to go on the field. The excitement is contagious and this will be the first time since they started doing the Futures games that I’ve missed it; so I’m a bit bummed about that. Fortunately, I know many people who will be there representing and, of course, Kelly O’Connor will be there so we’ll be sure to get some fantastic photos! It surprises me that more teams don’t do this. It’s a great way to not only let the fans get in the park and enjoy it when they might otherwise not be able to afford a day at a ballgame (premium seats don’t cost a premium today) but it also is a wonderful way to get the average fan interested in Minor League Baseball. So if you make it to Fenway this afternoon, I hope it doesn’t rain on you (according to weather.com between 2 and 3 o’clock today we run the highest risk of rainfall) and you not only enjoy the games but they encourage you to support Minor League Baseball. Jim Joyce = The Best of the (Not Quite) Best! This morning it was revealed that, in a poll Sports Illustrated took during Spring Training this year, MLB players voted Jim Joyce the best umpire in the majors with 35% of the vote. Everyone talking about it is mentioning that this shows what a good guy he is and how much respect players have for him given that he is the man who single-handedly robbed Armando Galarraga of a perfect game last season. (It’s worth noting that In 2010, after the blown call, Joyce won the same title in a similar poll.) He must be good at his job if he did something so terrible and the players still like and/or respect him, right? * “Big Game James” is one of the dumbest, least appropriate nicknames in baseball and it makes me irrationally dislike James Shields. (There are plenty of legitimate reasons for a Red Sox fan to not like James Shields but I feel like my dislike crosses into irrational territory because of his dumbass nickname.) And while I have to grudgingly admit that having 9 complete games is impressive, and Shields doesn’t exactly stink, watching one of those complete games be a loss to Boston yesterday gave me much pleasure. * On Monday, the St. Louis Cardinals suspended their number 1 prospect, Shelby Miller, indefinitely, for violating team policy. Word is that it was most likely due to alcohol-related matters. Now I’m all for reprimanding players for legitimate violations but I find it both interesting and hypocritical that these guys get reprimanded for alcohol-related instances (even though they aren’t publicly telling folks that) and then when they get to the bigs they can get arrested for DUIs whenever they want with nary a slap on the wrist. * It’s bad blogging etiquette to publish consecutive posts without the courtesy of a few hours in between. You’re supposed to space them out so folks come back at different times and pump up your traffic. I’ve been slacking lately and instead of leaving gaps in days on the blog, I thought I’d fill them all in. I know you folks don’t mind! * I miss Kyle Snyder. * Speaking of missing, I’ll be missing the Futures at Fenway games this weekend. I think this will be the first time I don’t go to Fenway for them since they began and I’m a bit bummed about it. Fortunately, Kelly O’Connor will be there and we’ll get a lot of fabulous photos of the young’uns! Ken Rosenthal, who was kind enough to respond to me on Twitter regarding this subject, writes yesterday that we should care as much about Jim Thome’s 600th home run as we did Derek Jeter’s 3000th hit. In all honesty, I actually care more and I agree with what Rosenthal wrote. The problem is, he’s part of the reason why many people didn’t care as much. How many people who follow baseball knew how close Thome was to 600 home runs? Heck, I only knew when the Red Sox were heading to Minnesota this last time because NESN promoted the series by mentioning how close he was to 600 and I consider myself a bit of a Thome fan. NESN. MY local sports station reminded me how close Thome was, not ESPN or MLB Network. THAT is the problem. Everyone under the sun couldn’t wait to brag on Jeter but Thome didn’t get the same treatment. Don’t tell us after the fact that “even though he didn’t play in New York” Thome’s milestone is one to be celebrated. I think plenty of baseball fans know this already. There are 28 MLB players who have hit over 3000 hits. It’s definitely impressive to be part of that group. I take nothing away from Jeter for the accolades he has received. But there are only 8 players who have hit 600 home runs or more (to compare, 25 players are in the 500 home runs club). Players on the 600 list include Alex Rodriguez, Sammy Sosa and Barry Bonds. Thome and Ken Griffey, Jr are the only present-day players on the list considered “clean” (which, admittedly, is kind of a ridiculous thing to mention since we have no real idea who was “clean” and who was just lucky to not be caught). What Jim Thome has accomplished is at least as important as what Jeter has accomplished and for the media to acknowledge this fact AFTER it has happened is frustrating. Then again, I’m doing the same thing they all did, aren’t I? Seeing a triple play in person is on many the baseball fan’s bucket list…and it’s still on mine. Not only didn’t I see it in person, but I didn’t see it live on NESN either. That’s okay. I’ve seen the replay a hundred times and it’s still great. Would have been nice if they could have gotten the “w” as well so we could see this game repeated on NESN for years to come but at his point I suppose that is picking nits. Thanks to that loss and a Yankees win last night the Red Sox are a half a game out of first place and the Yankees currently have a game in hand. It’s August 17th. There is a lot more baseball to be played and, as it stands, if the playoffs started today the Red Sox are 9 games up in the Wild Card race. The only team in MLB to have more wins than the Red Sox right now is the Philadelphia Phillies. The team is good. The team is playing well and, for the majority of their games, the team is winning. Still, last night, people were booing Carl Crawford. Those people can go stick their heads in a pile of manure. But there is no time to dwell on the negative. Sox split the double header, which is good enough for me. Now today, at 1:35pm, I’d like to see them win the series with John Lackey on the mound against David Price. What? It could happen! Okay, so here’s what happened, Dustin Pedroia flies out to Ichiro with Jacoby Ellsbury on third base. Ichiro rifles the ball back to the infield and Josh Bard tags Ellsbury out while Ellsbury practically wipes him out in the process. Bard rolls onto his back and the home plate umpire, standing directly over Bard’s body, calls Ellsbury safe because it looks like he dropped the ball. All of the Mariners practically attack the home plate umpire in protest and all the umpires get together and tell Terry Francona that, sorry, the home plate ump made the wrong call and Ellsbury is out. 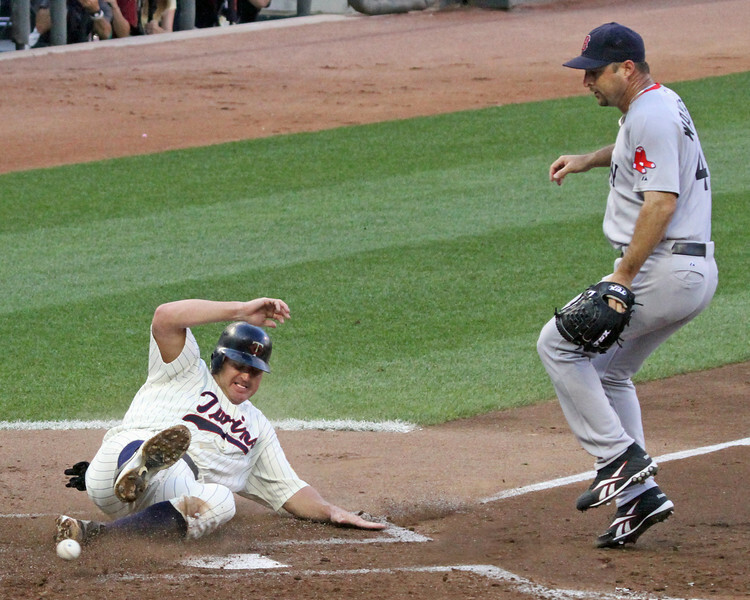 Tito, understandably, wigs out and gets himself tossed from the game. The Red Sox, already down 5-0 thanks to a God-awful Josh Beckett first inning, lose what turns out to be a very important run and go on to lose the game 5-4. Watching the replay, Don and Jerry immediately take the “they made the right call when they overturned the home plate ump’s call” position (contrary to what some Mariners fans with the NESN feed were gabbing about last night) and watching the replay it is OBVIOUS the umpires ultimately got the call right. It stinks that it hurt the Red Sox as much as it did but, really, it was the right call and except for Tito who didn’t have the benefit of instant replay in front of him before he argued with the umps, anyone who saw the replay knew it. “It looked like he held onto the ball. He made the tag and then he pulled it out with his bare hand to show that he got me. From my angle, it looked like they got the call right. Now, as painful as I suppose this could be, I bring this up for two reasons: The first being, it absolutely infuriates me when there is a call like the one last night where it seems another umpire had a better view of the play than the umpire making the call (which, as an aside, I still don’t get here. Watch the video, umpire Mark Ripperger was standing over Josh Bard and STILL got the call wrong) the umpires more often than not DON’T get together to make sure the right call was made. I don’t expect this on every play but for crying out loud is it so tough to do it on plays that are really significant? (Jim Joyce totally destroying Armando Galarraga’s perfect game is one and Jerry Meals, just this July, ending a 19-inning Pirates/Braves game by calling an obviously out Julio Lugo safe at home both come springing to mind.) Last night it happened in the fourth inning of a 5-0 game with two outs. While the call, ultimately, hurt the Red Sox because had it stood the score would have been tied, it still didn’t determine the outcome of this game. Joyce’s call and especially Meals’ call did just that. Every play in baseball is important but there are times when some hold a bit more importance than others and I know this isn’t lost on the umpires so why the heck don’t they take a couple of minutes more often to make sure they get the damn call right? I’m glad they got the call correct last night. Bard took quite the hit and still held on to that ball…between Ichiro’s throw and Bard’s response, that was one hell of a play. I’m just sorry what happened with the umpires last night doesn’t happen more often because, people who complain about how long baseball games are be damned, it really should. 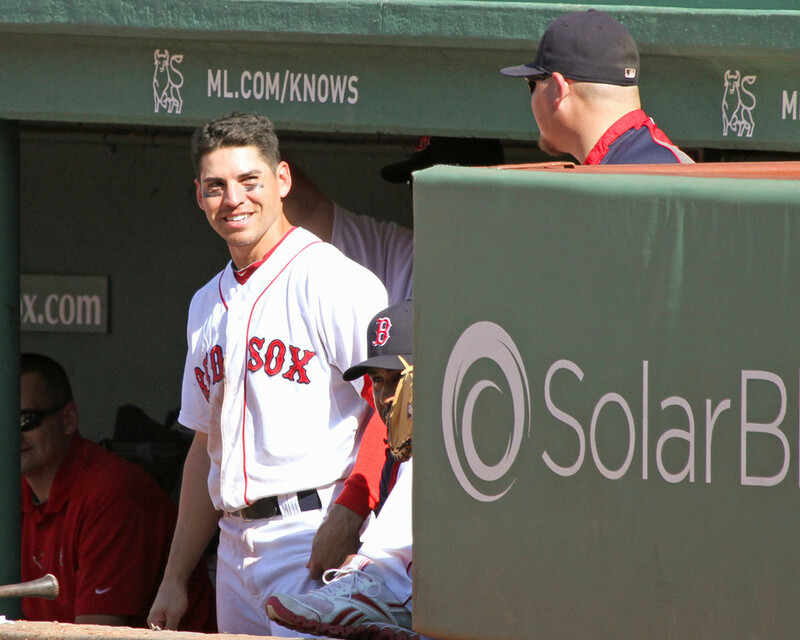 The second reason I bring this up is Jacoby Ellsbury’s reaction to it. “They got the right call.” Interestingly enough, that was Julio Lugo’s reaction as well when Jerry Meals made the wrong call. I, and many others, defended Lugo just by saying “Well, did you expect him to say it was the wrong call?” but look what Jacoby did. Lugo watched the replays (and if you watch them, Lugo’s reaction betrays his post-game confidence) and still came out with “He made the right call” (adding, according to reporters, a smile). So I refuse the whole “What is he going to say” argument because, really, it’s not so terrible to tell the truth in those situations is it? The umpire admitted it was the wrong call, the League admitted it was the wrong call. They aren’t going to take away the run or your win so why be a jackass about it? Jacoby gives me reasons every day to like him more. MLB umpires, not so much. So we get a rubber game today. In August, the Red Sox have tied a series (two wins bookended by losses against the Indians) and won two series (losing the first game of the series against the Yankees and the last game of the series against the Twins). They are having a good August. They’re having a good season. I’m not about to let one late night loss ruin my weekend. Tim Wakefield brings the knuckleball today in another attempt at his 200th win. Have at it, fellas!